This unique cross-country ski race starts at the top of the HS134 Nordic Ski Jump at the Utah Olympic Park. Racers will make their way down to the visitors' center and then back to the top of the jump. This race is recommended for expert skiers only and costs $35 to register. The race will be held on Sunday, Feb. 15, beginning at 1 p.m. For more information, visit www.utaholympiclegacy.com/pcnsc or call 435-658-4213. PC Tennis invites you to the 50 Shades of Tennis Valentine's Day Social at the PC MARC on Saturday, Feb. 14, from 2 p.m. to 5 p.m. Light hors d'oeuvres will be provided in addition to a Valentine's-themed baking contest for participants. Space is limited, and the fee is $25 per person. For more info and to sign up, call 435-615-5400 or visit parkcityrecreation.org. This month's Free Lunchtime Learning will focus on estate planning with local attorney Natalie Segall of Segall and Banko. Learn about the basic estate planning documents everyone should have and how you can provide for your family by documenting your wishes now. Join her on Wednesday, Feb. 12, from noon to 1 p.m. at the PC MARC. Feel free to bring your lunch. For more info, visit parkcityrecreation.org or call 435-615-5400. Calling all girl skiers and boarders! Team Park City United is offering a Girls Camp at Park City Mountain Resort! Focusing on terrain park and all-mountain skills, this introductory camp is the perfect way to kick off break! The camp is for girls ages 9 and up. No terrain park skills required. The camp runs Feb. 18-19. The cost is $80 and includes coaching, lunch and activities. Contact us at 435-655-5366, mary@teamparkcityunited.com or teamparkcityunited.com for more information. Cardio Tennis combines the best features of tennis with cardiovascular exercise to deliver a full-body aerobic workout. Taught by a tennis professional, Cardio Tennis is held Mondays from 9 to 10:30 a.m. at the PC MARC. Players of all levels are welcome to enjoy this dynamic workout that uses the agility ladder, cardio stations and cardio balls. The class fee is $26. For more info, visit parkcityrecreation.org or call 435-615-5400. Get out on the winter trails with Basin Recreation for the Silver Ski Nordic Tour on Sunday, Feb. 15, from 10 a.m. to 1 p.m. Enjoy continuous skiing from White Pine Ski Center (10K) or Willow Creek Park (5K) to the Newpark Town Center Plaza. The route is weather-dependent, so be sure to stay tuned for event updates via our website and Facebook/Twitter. After the tour, warm your belly with soup, coffee and cocoa in the plaza. And be sure to enjoy the Nordic trail system throughout the remainder of the winter season! For more information, visit www.basinrecreation.org or call 435-649-1564. The Park City Soccer Club will host its annual Spring Academy beginning Feb. 5 and ending May 15. Six- and seven-year-olds will practice from 5-6 p.m. on Thursdays. Eight- to 10-year-olds will practice from 6-7 p.m. on Thursdays. Everyone will practice on Fridays from 5-6 p.m. Players can join at any time during the spring. The cost is $140 for one day or $275 for two days. To register, or for more information, visit www.parkcitysoccer.org or call Matthew Terwillegar at 435-602-9401. Basin Recreation's February Break Camp is right around the corner! Join us Feb. 17-20, from 9 a.m. to 4 p.m. at the Ecker Hill Middle School Gymnasium. Early drop-off is at 8 a.m. and late pick-up is at 5 p.m. Campers will enjoy sledding, swimming and games. Be sure to pack lunch, sledding gear, a swimsuit and towel. Cost is $40 per day or $120 for all four days. To sign up, visit www.basinrecreation.org or call 435-655-0999. Don't lose your golf swing over the long winter months! Take advantage of the golf simulator and indoor driving range at the Basin Recreation Fieldhouse and schedule your one-hour tee time on Tuesday and Thursday from 8 a.m. to 2 p.m. Play a variety of courses throughout the United States, Europe and Asia and improve your game. Cost is $12 per person per hour or $6 for the driving range. For more information, visit www.basinrecreation.org or call 435-649-1564. Registration is now open for PC Recreation's Spring Youth Soccer League for ages 4 and up. 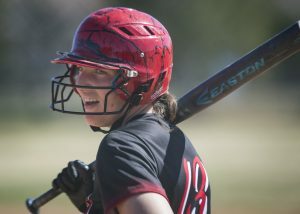 The league is held April 15 to June 13 on Saturdays from 9 a.m. to 3 p.m. and Wednesdays from 5 to 7 p.m. at the Park City Sports Complex at Quinn's Junction. The $70 fee includes a uniform. Volunteer coaches are needed for every team! The registration deadline is March 16. Register early as space is limited. For more info and to register, visit parkcityrecreation.org or call 435-615-5400. Looking for a little help getting your body right for the New Year? Body Right is a 20-session fitness program taught by Kristi, a certified nutritionist, that will provide a healthy all-inclusive approach to help you achieve your fitness goals. This program will run from Jan. 6 through March 12 on Tuesdays and Thursdays from 6:30-7:30 a.m. at The Fieldhouse. Cost is $100 for 20 sessions (prepay only). To register, visit www.basinrecreation.org, call 435-655-0999 or stop by The Fieldhouse. A presentation on avalanche awareness will take place at the Park City Visitor Center on Feb. 21, from 10 a.m. to 1 p.m. The presentation will focus on awareness relating to snowshoeing in Wasatch Mountain State Park. Four experienced patrollers and snow safety professionals from the Canyons and Park City Mountain Resort will present a lecture and field demonstration concerning snowpack analysis and backcountry travel safety. The lecture will be in the Visitor Center for the first hour. Then it will travel up to Mill Flats parking lot for a snow pit analysis lesson. Dress to be outside in snow. Midway Adventure is sponsoring this event and the Friends of the Wasatch are providing light refreshments. Please contact Nancy O'Toole at 435-671-1453 or Kathy Donnell at 435-654-1791 with any questions. Learn to Nordic ski (classic or skate) with Basin Recreation. Qualified instructors will lead groups in short lessons and group skiing on our trails. This is a fun way to get the entire family involved in this popular winter sport. Classes are for beginners and intermediate-beginners ages 8 and up. Session 2 runs from 10 a.m. to 12 p.m. on four Sundays -- Feb. 7, 14, 21 and 28. Session 3 runs on four March Sundays -- March 8, 15, 22 and 29 -- also from 10 a.m. to 12 p.m. All sessions cost $35 or there is a $10 charge for just one class. For more information, visit www.basinrecreation.org or call 435-655-0999. The PC MARC is offering Drop-In Volleyball on Tuesday evenings from 6:30 to 9 p.m. until Christmas. All ages and levels are welcome. It's free for pass holders, and non-members can join the action by paying the facility fee. For more info, visit parkcityrecreation.org or call 435-615-5400. Whether you're a youth or just young at heart, the PC MARC has a new spin class just for you. Join Brooke on Sundays from 4:30 to 5:15 p.m. for a great workout and music at a decibel young people can appreciate. Ages 13 and over are welcome. For more info, visit parkcityrecreation.org or call 435-615-5400. Though the weather is getting colder, the paddleboard yoga scene is still hot. Join Park City Standup Paddleboarding for indoor paddleboard yoga sessions at the Park City Aquatic Center. Classes will be held at 8:30 a.m. on Monday, Wednesday, and Friday and at 4 p.m. on Saturdays and Sundays. The cost is $20, which includes all necessary equipment. Visit www.parkcitysup.com for more information. Cooler temperatures and shorter days bring a host of new evening group-fitness classes at the PC MARC. Class offerings include Stretch and Movement, Zumba, Yoga, Painfree Posture, Bro-Yog and more. For a complete schedule and class descriptions, visit parkcityrecreation.org or call 435-615-5400. The Round Valley Roundup will take place on Saturday, Feb. 14, at the Round Valley trail system in Quinn’s Junction. The event, hosted by Mountain Trails Foundation, offers a 5K, 20K or a 40K trek. Cross-country skiers of all levels are welcome. For more information, visit http://www.mountaintrails.org . This unique cross-country ski race starts at the top of the HS134 Nordic Ski Jump at the Utah Olympic Park. Racers will make their way down to the visitors’ center and then back to the top of the jump. This race is recommended for expert skiers only and costs $35 to register. 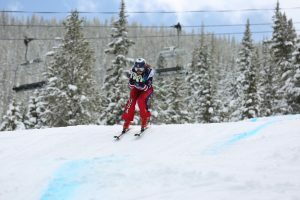 The race will be held on Sunday, Feb. 15, beginning at 1 p.m. For more information, visit http://www.utaholympiclegacy.com/pcnsc or call 435-658-4213. PC Tennis invites you to the 50 Shades of Tennis Valentine’s Day Social at the PC MARC on Saturday, Feb. 14, from 2 p.m. to 5 p.m. Light hors d’oeuvres will be provided in addition to a Valentine’s-themed baking contest for participants. Space is limited, and the fee is $25 per person. For more info and to sign up, call 435-615-5400 or visit parkcityrecreation.org. This month’s Free Lunchtime Learning will focus on estate planning with local attorney Natalie Segall of Segall and Banko. Learn about the basic estate planning documents everyone should have and how you can provide for your family by documenting your wishes now. Join her on Wednesday, Feb. 12, from noon to 1 p.m. at the PC MARC. Feel free to bring your lunch. For more info, visit parkcityrecreation.org or call 435-615-5400. Get out on the winter trails with Basin Recreation for the Silver Ski Nordic Tour on Sunday, Feb. 15, from 10 a.m. to 1 p.m. Enjoy continuous skiing from White Pine Ski Center (10K) or Willow Creek Park (5K) to the Newpark Town Center Plaza. The route is weather-dependent, so be sure to stay tuned for event updates via our website and Facebook/Twitter. After the tour, warm your belly with soup, coffee and cocoa in the plaza. And be sure to enjoy the Nordic trail system throughout the remainder of the winter season! For more information, visit http://www.basinrecreation.org or call 435-649-1564. The Park City Soccer Club will host its annual Spring Academy beginning Feb. 5 and ending May 15. Six- and seven-year-olds will practice from 5-6 p.m. on Thursdays. Eight- to 10-year-olds will practice from 6-7 p.m. on Thursdays. Everyone will practice on Fridays from 5-6 p.m. Players can join at any time during the spring. The cost is $140 for one day or $275 for two days. To register, or for more information, visit http://www.parkcitysoccer.org or call Matthew Terwillegar at 435-602-9401. Basin Recreation’s February Break Camp is right around the corner! Join us Feb. 17-20, from 9 a.m. to 4 p.m. at the Ecker Hill Middle School Gymnasium. Early drop-off is at 8 a.m. and late pick-up is at 5 p.m. Campers will enjoy sledding, swimming and games. Be sure to pack lunch, sledding gear, a swimsuit and towel. Cost is $40 per day or $120 for all four days. To sign up, visit http://www.basinrecreation.org or call 435-655-0999. Don’t lose your golf swing over the long winter months! Take advantage of the golf simulator and indoor driving range at the Basin Recreation Fieldhouse and schedule your one-hour tee time on Tuesday and Thursday from 8 a.m. to 2 p.m. Play a variety of courses throughout the United States, Europe and Asia and improve your game. Cost is $12 per person per hour or $6 for the driving range. For more information, visit http://www.basinrecreation.org or call 435-649-1564. Registration is now open for PC Recreation’s Spring Youth Soccer League for ages 4 and up. The league is held April 15 to June 13 on Saturdays from 9 a.m. to 3 p.m. and Wednesdays from 5 to 7 p.m. at the Park City Sports Complex at Quinn’s Junction. The $70 fee includes a uniform. Volunteer coaches are needed for every team! The registration deadline is March 16. Register early as space is limited. For more info and to register, visit parkcityrecreation.org or call 435-615-5400. Looking for a little help getting your body right for the New Year? Body Right is a 20-session fitness program taught by Kristi, a certified nutritionist, that will provide a healthy all-inclusive approach to help you achieve your fitness goals. This program will run from Jan. 6 through March 12 on Tuesdays and Thursdays from 6:30-7:30 a.m. at The Fieldhouse. Cost is $100 for 20 sessions (prepay only). To register, visit http://www.basinrecreation.org, call 435-655-0999 or stop by The Fieldhouse. A presentation on avalanche awareness will take place at the Park City Visitor Center on Feb. 21, from 10 a.m. to 1 p.m. The presentation will focus on awareness relating to snowshoeing in Wasatch Mountain State Park. Four experienced patrollers and snow safety professionals from the Canyons and Park City Mountain Resort will present a lecture and field demonstration concerning snowpack analysis and backcountry travel safety. The lecture will be in the Visitor Center for the first hour. Then it will travel up to Mill Flats parking lot for a snow pit analysis lesson. Dress to be outside in snow. Midway Adventure is sponsoring this event and the Friends of the Wasatch are providing light refreshments. Please contact Nancy O’Toole at 435-671-1453 or Kathy Donnell at 435-654-1791 with any questions. Learn to Nordic ski (classic or skate) with Basin Recreation. Qualified instructors will lead groups in short lessons and group skiing on our trails. This is a fun way to get the entire family involved in this popular winter sport. Classes are for beginners and intermediate-beginners ages 8 and up. Session 2 runs from 10 a.m. to 12 p.m. on four Sundays — Feb. 7, 14, 21 and 28. Session 3 runs on four March Sundays — March 8, 15, 22 and 29 — also from 10 a.m. to 12 p.m. All sessions cost $35 or there is a $10 charge for just one class. For more information, visit http://www.basinrecreation.org or call 435-655-0999. The PC MARC is offering Drop-In Volleyball on Tuesday evenings from 6:30 to 9 p.m. until Christmas. All ages and levels are welcome. It’s free for pass holders, and non-members can join the action by paying the facility fee. For more info, visit parkcityrecreation.org or call 435-615-5400. Whether you’re a youth or just young at heart, the PC MARC has a new spin class just for you. Join Brooke on Sundays from 4:30 to 5:15 p.m. for a great workout and music at a decibel young people can appreciate. Ages 13 and over are welcome. For more info, visit parkcityrecreation.org or call 435-615-5400. Though the weather is getting colder, the paddleboard yoga scene is still hot. Join Park City Standup Paddleboarding for indoor paddleboard yoga sessions at the Park City Aquatic Center. Classes will be held at 8:30 a.m. on Monday, Wednesday, and Friday and at 4 p.m. on Saturdays and Sundays. The cost is $20, which includes all necessary equipment. Visit http://www.parkcitysup.com for more information.